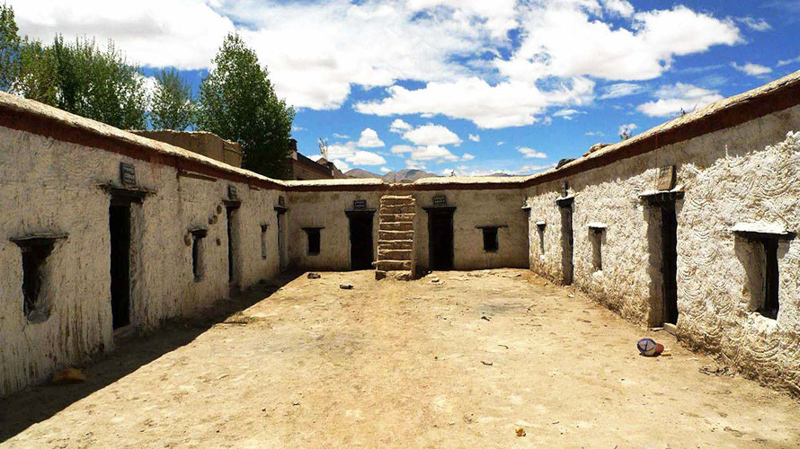 Pala Manor is the best-preserved manor in Tibet. It has the history of Tibet feudal serf system. 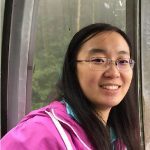 You can learn a lot about the Tibetan history from visiting it. 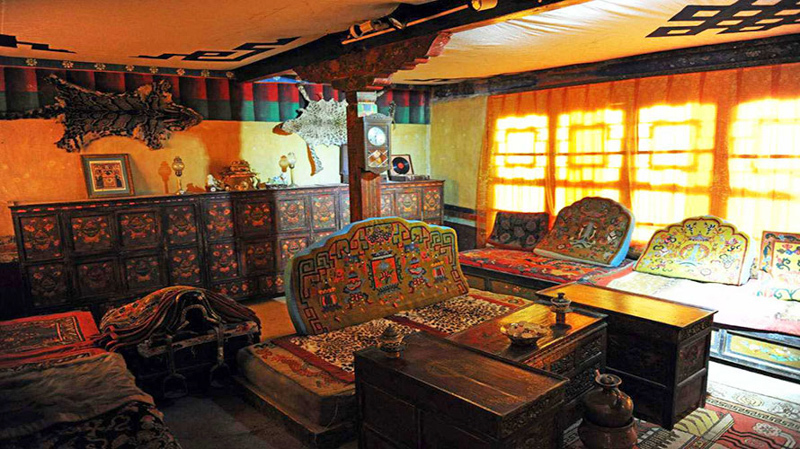 Therefore, if you want a culture themed Tibet tour, Pala Manor is a nice choice! 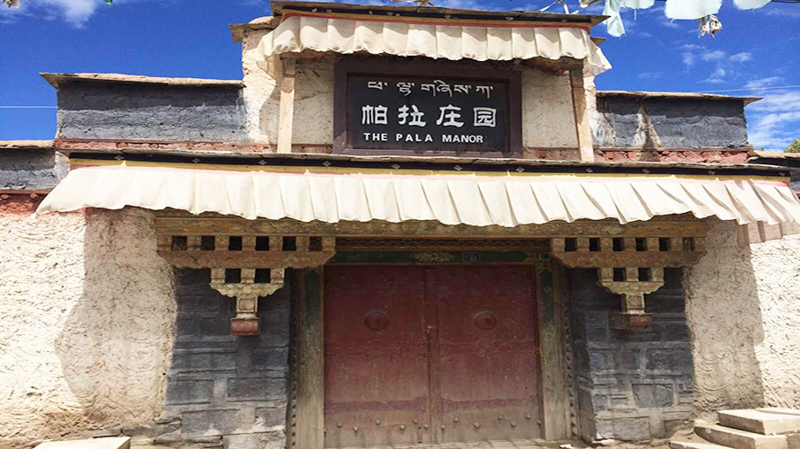 Pala Manor is located at Banjorhunbo Village about 4km from Gyantse County. Thus, it is convenient to go there. You can take a taxi or motorbike or walk there. By foot, it only take 30 minutes. And by taxi or motorbike, it take about 10 minutes’ drive. Pala Family is the noble family in Tibet. It has very high status in Tibet history, only after Dalai Lama Family. The lord of Pala Manor was once a Lama in a monastery, later he became the tribal chief in Bhutan. Because of the civil strife, he moved to Tibet and became a local official. By then end of 19th century, Pala Family had owned 37 manors in different places of Tibet. Pala Manor was just one of them. Besides, the family owned over 15 thousand acres’ land, 12 pastures, 14000 cattle and 3000 serfs. In the manor, you can see luxurious rooms in the main building and a serf yard opposite to the building. They reveal the vast contrast between nobles’ life and serfs’ life. In the main building, there are scripture rooms, sun room, reception room, bedrooms. Even in the lobby, there is a Mahjong room for leisure. Therefore, the life of the nobles is very comfortable with plentiful entertainment utilities. However, in the serf yard (or Servants’ Houses), the living condition is poor. Some of the serfs even cannot live in the room. Instead, they stay outside. For more Tibet attractions or travel news, please follow our Tibet Travel Blog.